For drug companies like Takeda Pharmaceuticals and Eli Lilly, the diabetes drug Actos has brought about unprecedented sales, untold profits and global notoriety as a “safe and effective” treatment option for adults suffering from the effects of Type II diabetes. For plaintiffs like William and Phyllis Harstein of Village of Orange, Ohio, the drug has allegedly caused the sudden and unexpected onset of bladder cancer, requiring painful treatments, excruciating discomfort and unrelenting mental anguish. Nonetheless, the plaintiffs assert, the drug companies continue to promote Actos to doctors and pharmacists across the United States – reeling in $4.8 billion in the process. 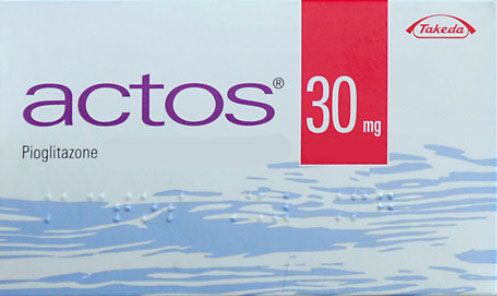 The drug Actos was introduced to the American market in 1999 as a result of a joint launch by defendants Eli Lilly and Takeda. The drug is designed and marketed to help treat blood glucose level increases in patients with Type II diabetes, which occurs when the body does not make enough insulin to adequately regulate blood sugar levels. The drug belongs to a class known as “thiazolidinediones” and works as an “insulin-sensitizing agent” to create an anti-hyperglycemic effect. 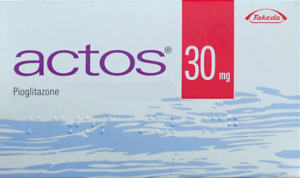 Notwithstanding these benefits, the diabetes drug is also linked to the development of bladder cancer – a phenomenon the plaintiffs assert was well known to the defendants for several years prior to the onslaught of Actos lawsuits mounting similar claims. In 2011, the American Diabetes Association made similar discoveries, which were published in an article known as Assessing the Association of Pioglitazone [Actos] Use and Bladder Cancer Through Drug Adverse Event Reporting. Shortly after the suspension of Actos sales overseas, Takeda opted to issue a recall of the drug in France. Nonetheless, despite all the above evidence to the contrary, the company continued to market and sell the drug to American consumers – prompting hundreds of plaintiffs to launch personal injury actions alleging the company committed negligence for continuing to knowingly subject patients to such a dangerous medication. On July 15, 2015, the Harsteins filed their complaint in U.S. District Court for the Western District of Louisiana. According to the factual allegations, Mr. Harstein was prescribed the drug in November, 2006 for the treatment of his Type II diabetes. On May 28, 2015, he was diagnosed with bladder cancer, which was officially confirmed by cystoscopy and pathology results one month later. Pursuant to their lawsuit, the Harsteins are seeking compensation for their medical expenses, pain and suffering and mental anguish. The parties are also seeking compensation for expenses related to the elevated costs of living incurred as a result of the diagnosis. Moreover, Mrs. Harstein is seeking compensation for the loss of consortium, consideration, compassion and care from her husband as he endures his illness.